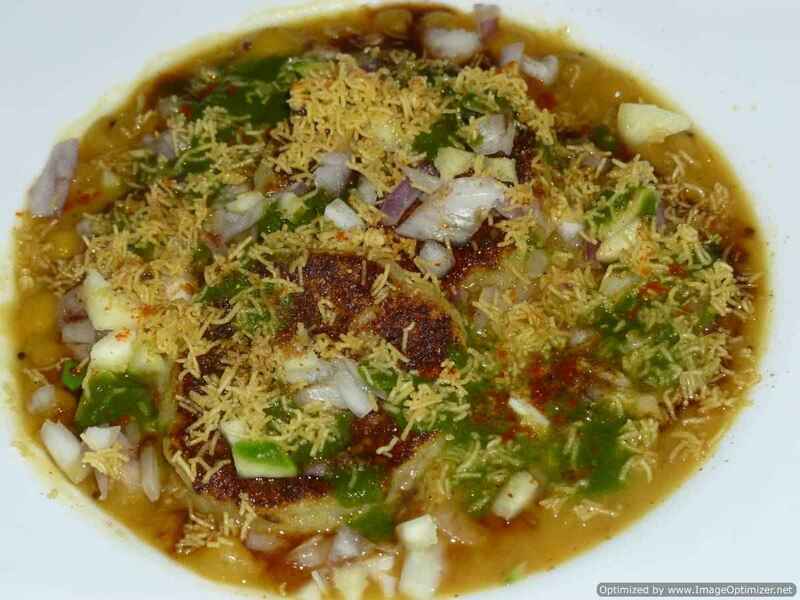 Bhel puri is everyones favourite and famous in India. 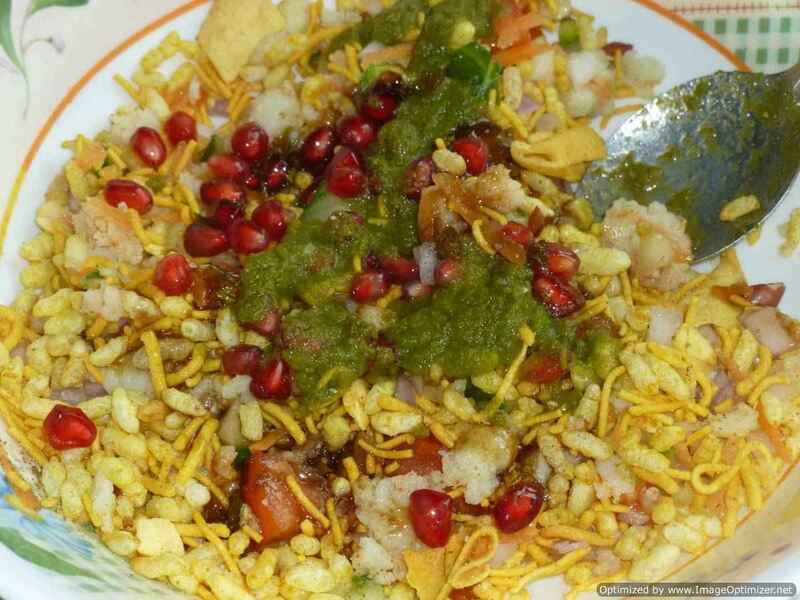 It is a street food and all the chaat vendors make bhel puri as per their recipe. 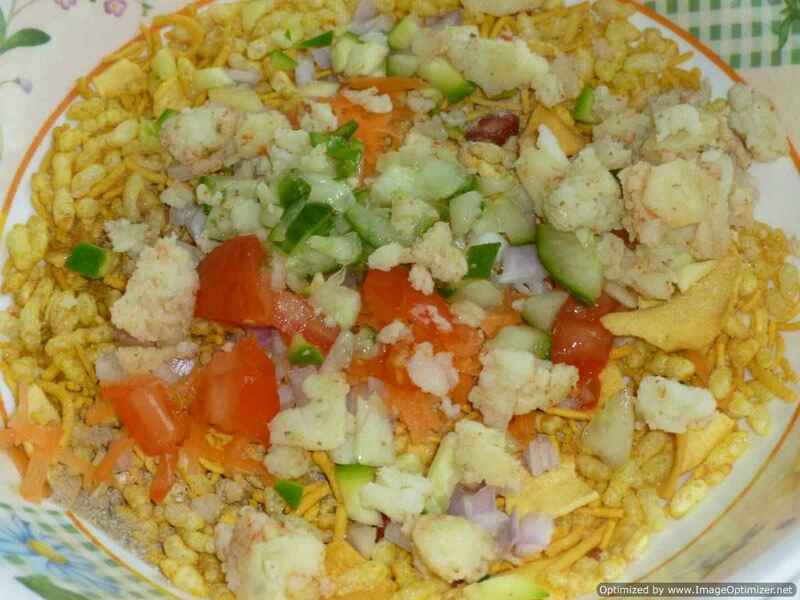 At homes and other places, all have their own recipe of bhel puri and know with different names. 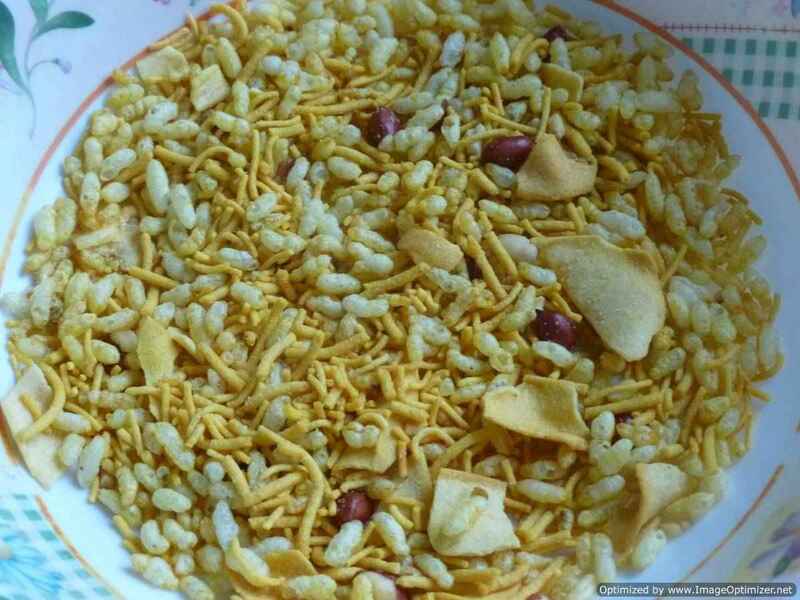 Now-a-days you get different kinds of mixtures (crispies) like cornflakes mixture, bhel mixture, boondhi, all in ready made packets. 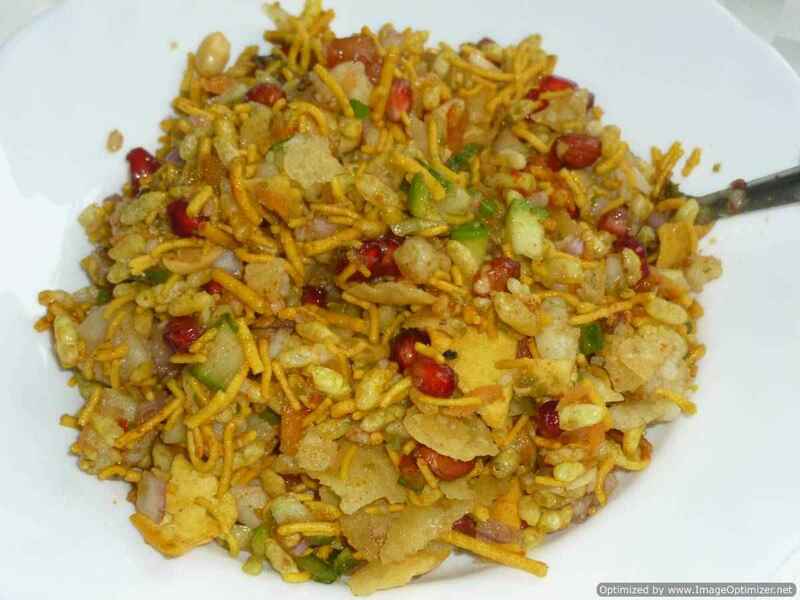 Bombay bhel is also one such mixture from which we can make delicious and tasty bhel puri. 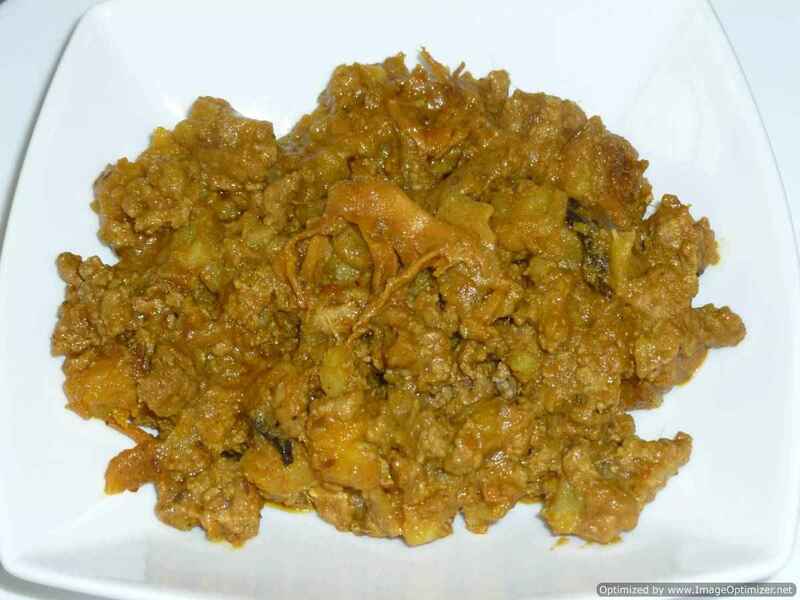 Take a wider bowl, add first dry ingredients like Bombay bhel, onion, green chilli, roasted peanuts, crushed golgappa or papdi, smashed potato, raw mango, roasted cumin powder, chilli powder mix all. Add tamarind chutney 2tbsp and green chutney 1tbsp , pomegranate seeds 1tbsp,mix all. 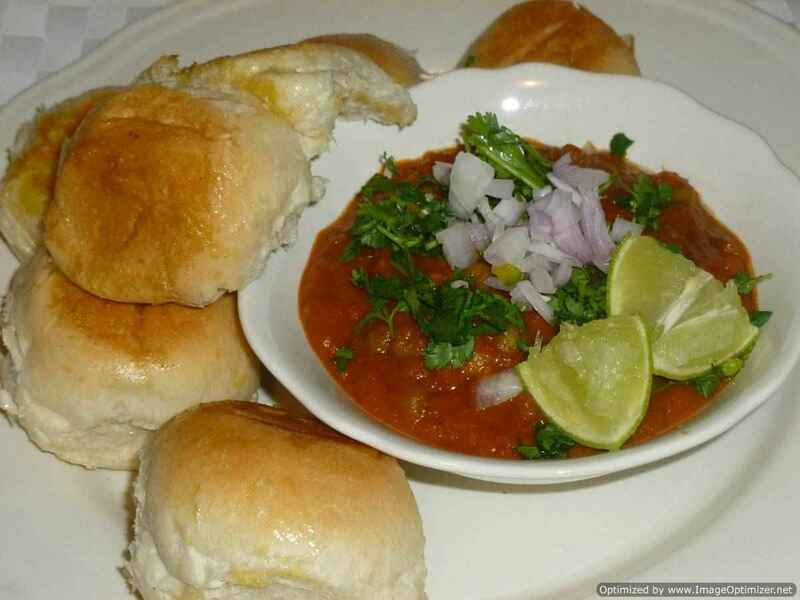 Add the chutneys as per your taste, as green chutney (mint chutney) and tamarind chutney(tamarind chutney) is prepared differently in each house.